Paytweak is the Secure Email Payment Gateway. 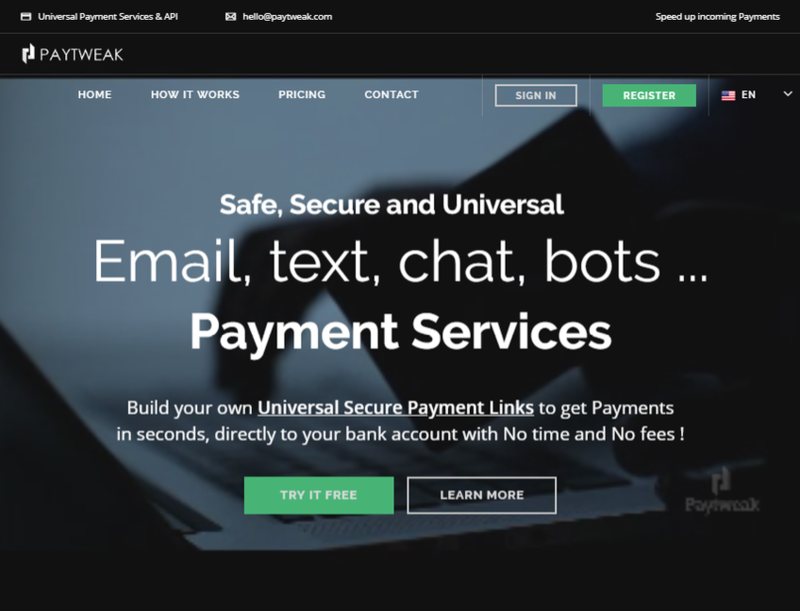 The universal payment link generated by Paytweak's technology is directly connected to 500 banks and PSP around the world and perfectly fits any channels. It secures, speeds-up and removes frictions for all incoming payments like never before. It also prevents from fraud by authenticating card holders in real time, even during phone calls.